Ruby never asked for the abilities that almost cost her her life. Now she must call upon them on a daily basis, leading dangerous missions to bring down a corrupt government and breaking into the minds of her enemies. Other kids in the Children’s League call Ruby “Leader", but she knows what she really is: a monster. When Ruby is entrusted with an explosive secret, she must embark on her most dangerous mission yet: leaving the Children’s League behind. Crucial information about the disease that killed most of America’s children - and turned Ruby and the others who lived into feared and hated outcasts - has survived every attempt to destroy it. But the truth is saved in only one place: a flash drive in the hands of Liam Stewart, the boy Ruby once believed was her future - and who now wouldn’t recognize her. As Ruby sets out across a desperate, lawless country to find Liam - and answers about the catastrophe that has ripped both her life and America apart - she is torn between old friends and the promise she made to serve the League. Ruby will do anything to protect the people she loves. But what if winning the war means losing herself? 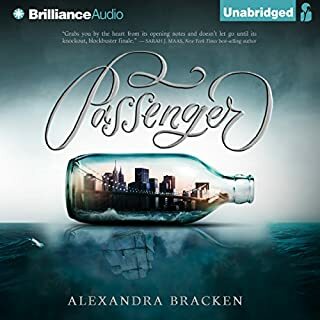 ©2013 Alexandra Bracken (P)2013 Brilliance Audio, Inc.
For a middle book, this one blows that "middle book syndrome" idea right out of the water. Wow! 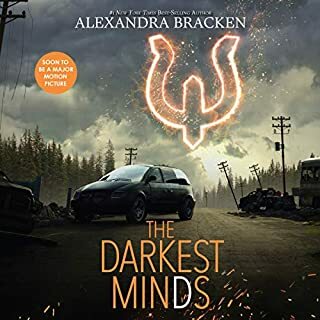 Every bit as action packed and drama driven as the first book, Alexandra Bracken has delivered a whopper of a sequel. The audio by Amy McFadden is superb. Every voice was distinct, every emotion appropriate. I am getting spoiled by all these voice actors and highly impatient with those who just narrate. This book is amazing. Just get it and listen to it - you're welcome. I am loving this series!! The writing is fresh and gorgeous, the characters are so well fleshed out and the plot is gripping. Can't wait to read the next one!! 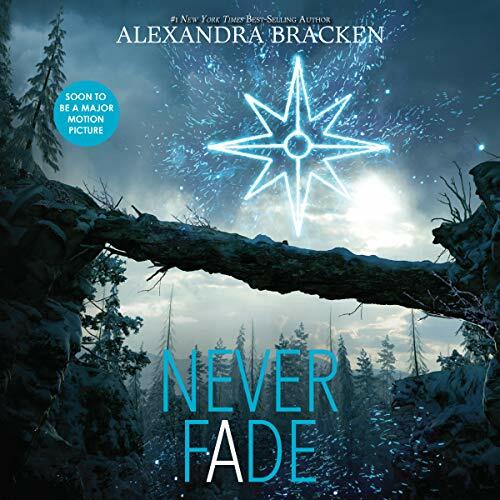 Would you consider the audio edition of Never Fade to be better than the print version? Yes, would have been nice to sit and listen to entire book, but long enough and to many interuptions to do so. 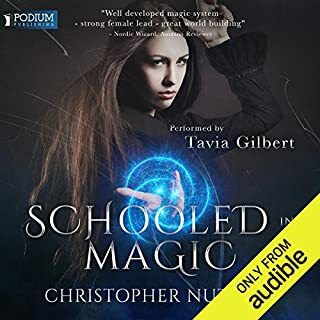 This would be a great listen for children 10 and up. I did not realize that it was in the teen list till I looked. I liked the suspence and the anticipation book by book. Kept you thinking and kept it pretty much real. I could imagine this might or could actually happen. Ruby rocks! She is so determined to protect her friends & do what's right even though she messes up a lot. Great story. I loved being able to switch between audio MD kindle versions. The story was amazing. Ruby is back at it! It was amazing! It is just as intriguing as the first book. There are many twists that keep you wanting more! the narrator read it so perfectly and even used a different voice for each character making it an even better read! this was PERFECT! Great Story! WAY too much swearing! I like this story a lot but can not recommend it to my kids or anyone else because of the excessive swearing that starts in this book. The first one had virtually none. This one is RIFE with it from page 3 on. Disappointing. 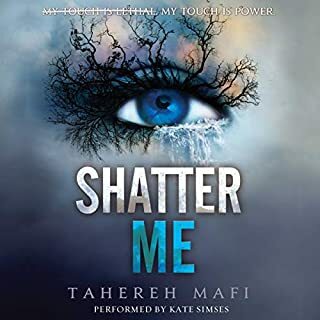 I had to download this as soon as I finished listening to The Darkest Minds (the first book in the series) Never Fade starts of where the last ended and once again I was gripped by the characters and the further evolution of the world they liv. Once again the book is so well paced and the morality of the decisions the characters make is handled so well you will not want this story to end. Great great books a must listen. 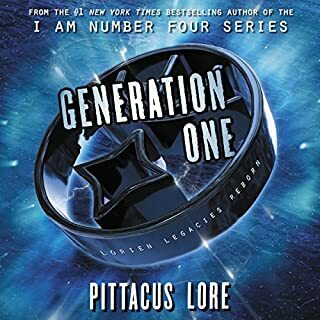 Still in love with this series! WOW! 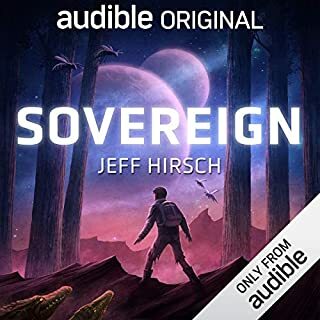 Normally I loose a little bit of love for series books as they go on, you have the hype and love for how amazing this new world and story is and then the second book comes along and lets you down, but this one was just as amazing as the first. The storyline is still set at a great pace with the new characters that are introduced all being just as loveable as our reappearing main characters from The Darkest Minds. I was hooked from the first line of this story and the ending was such a action packed cliffhanger that I will be heading straight into the next book ‘In The Afterlight’. If you loved the first book in this series, then this one is a definite must read. Excellent writing, excellent narration. There's nothing more to say really! Would highly recommend both this book and it's predecessor. I just love it and the other two books of the series. Liam makes it for me although somewhat moody occasionally.